Perth's east end is home to a growing number of creative industries. Cool Change Contemporary is the latest gallery to open in the Historic Heart, housed in the heritage listed Bon Marche Arcade on Barrack Street. The gallery is an artist-run initiative which runs a monthly program of exhibitions as well as performances, screenings, workshops and events. It will also offer a studio residency program. The team behind Cool Change, includes people from Moana, Polizia, Success and Paper Mountain. Moore Contemporary is an Art Gallery and Project Space committed to the presentation and promotion of Western Australian and International contemporary art. Founded and directed by Margaret Moore, Moore Contemporary offers a distinctive program of projects that includes solo exhibitions and curated selections of work providing wide-ranging access to significant contemporary art for both collectors and interested audiences. Moore Contemporary also offers consultancy in curatorial and arts management services. Art Collective WA exists to improve visibility for West Australian visual artists, in particular those that have been living and working in this State for many years. It is run by artists, for artists. Art Collective WA is a not-for-profit incorporated association. It raises money through artwork sales and through the generous support of benefactors and donors to develop more opportunities for Western Australia's long-term career artists. The vision is that West Australian visual artists are celebrated to ensure that their work is valued both inside and outside the State. This beautifully renovated heritage building on Pier Street is now home to a bespoke collection of art, furniture, clothing and accessories made in Europe and Australia. All items in FA Concept Store are curated by the owner, international fashion blogger Aymeric Futol. 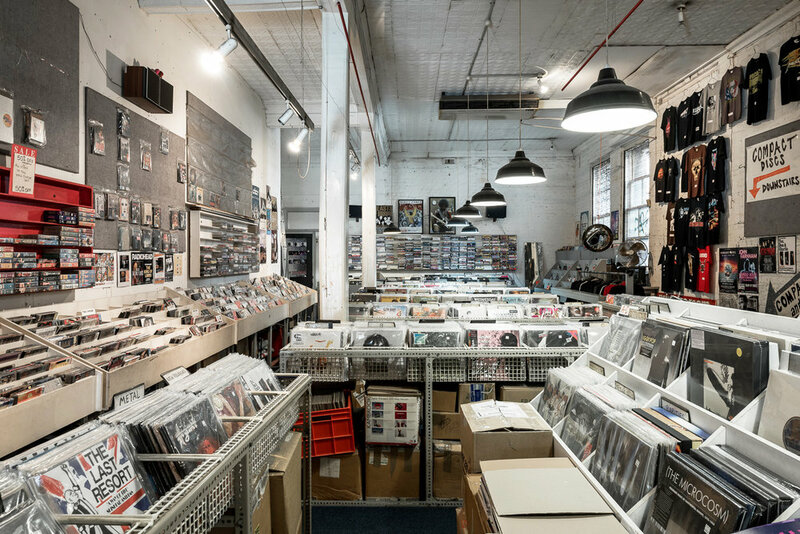 Dada's Records is one of Australia's longest standing independent record stores,with the largest selection of new vinyl in the Southern Hemisphere. Huzzard Studios is the hub of a vibrant community of photographers, makeup artists, models, fashion designers, stylists, hairstylists and more. Providing affordable photographic studio facilities in the heart of the Perth CBD, the studio has a range of spaces available including large white cycloramas, various backgrounds, and a comprehensive array of lighting equipment. Huzzard Studios hosts industry events to connect budding artists to working professionals, talent to talent, and talent to clients. The team at Fox and Rabbit has been delivering premium, fresh flowers in their signature style, across WA since 2010. By day they create one-of-a kind arrangements from their flagship store in the State Buildings. By night their large scale floral installations can be found across events and weddings, from ballrooms to backyards. Sue Lewis, a qualified chef with over 20 years of experience working in London restaurants, learnt the art of chocolate making under the direction of master chocolatier Paul A. Young. Sue now brings her delicacies to Perth, with her stunning State Buildings store where she makes her handmade chocolates, and welcomes chocolate-lovers with tasting nights and chocolate classes. Honeycake is a Western Australian operated cakery that specializes in the handmade production of the traditional Czech layered cake named "the Honeycake". Handmade from premium natural ingredients and free from preservatives, each individual layer is carefully assembled to create a beautiful dessert.